Duties include, but are not limited to, delivering materials to job sites using a standard transmission tractor trailer, tandem axel or box truck, ability to drive truck mounted lift used to unload materials at job site, pick up materials from job site when directed by supervisor, load truck, and secure load according to federal DOT guidelines. Previous experience in lumber yards is preferred. 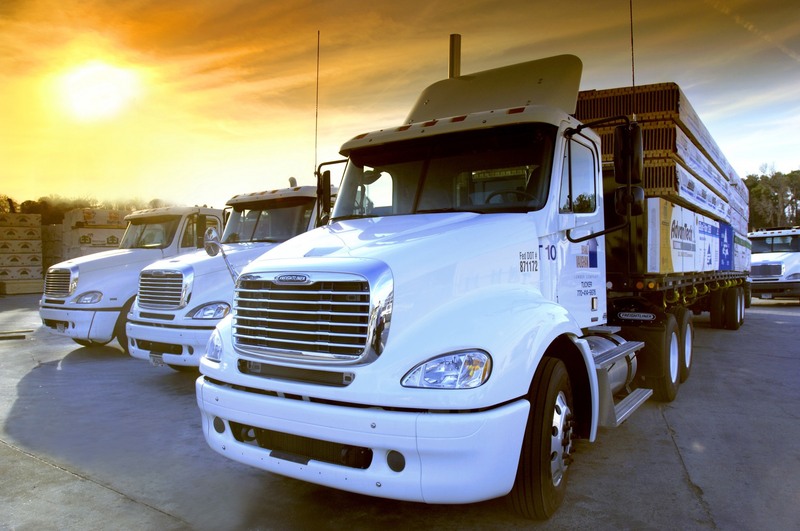 A valid Class A commercial driver's license is required. Operate a truck that transports building materials to and from specified destinations as well as operate lift equipment for loading and unloading. The Driver relies on instructions and pre-established guidelines to perform the functions of the job. Must maintain a Class A Driver's License, forklift license, and a driving record in compliance with company standards. Work is performed primarily in an outdoor yard environment and warehouse and is subject to variations in temperature and weather. Must be able to lift and carry up to 30 pounds frequently and on occasion up to 80 pounds. Deliver materials to job sites using standard transmission tractor trailer, tandem axle or box truck. Ability to drive truck mounted lift used to unload materials at job site. Load truck and secure load according to federal DOT guidelines. Complete compliance with all DOT regulations and company safety policies. Unload trucks by hand or with a forklift.